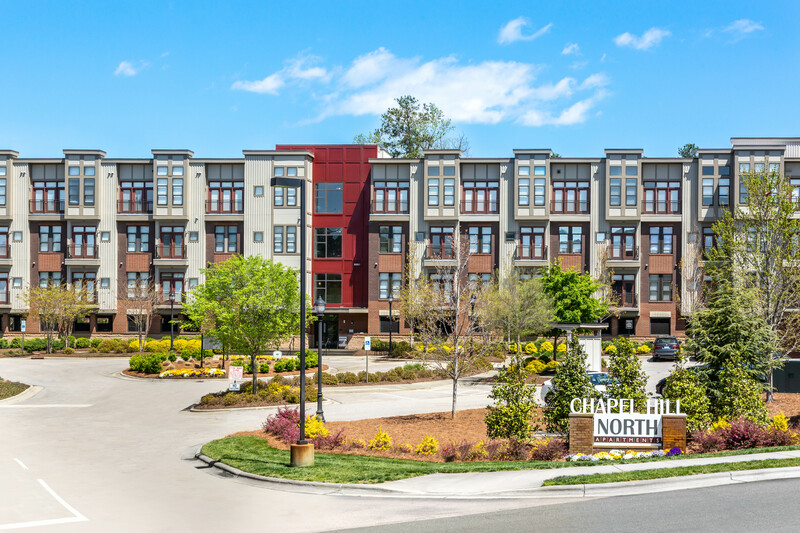 Chapel Hill North Apartments, a modern luxury apartment community in Chapel Hill, consists of flats and townhomes nestled between oaks and maples that surround a landscaped courtyard. Located near the coveted Chapel Hill school district, near the intersection of I-40 and Hwy 86 just minutes from UNC and Duke, Chapel Hill North mixes modern and timeless features. Homes are designed with contemporary cabinetry, granite counters, ENERGY STAR appliances, hardwood floors, upgraded lighting and much more. Community amenities include a saltwater pool, dog park, basketball court, outdoor living areas and much more! Chapel Hill North was rated a Very Walkable Community by WalkScore.com!